Kevin Spacey’s video was uploaded to YouTube on Christmas Eve and has since been watched by over nine million people. The disgraced actor stares at his audience as he washes his hands, before commencing into the southern drawl of Frank Underwood for a monologue that lasts a little over three minutes. This is the first House of Cards fans have heard from Underwood and Spacey since the actor was accused of various counts of assault last year. Online comments highlight the gross insensitivity of the video’s message, but also confusion as to what is being filmed. It is clear that it is Spacey speaking and yet it somewhat more chilling than any press conference could ever be. The surfacing of allegations last year had been met with press furore but not many questioned the legitimacy of his previous work. In truth, the news concerned an actor whose character and private life was little known to the public. His characters could still be watched, albeit with a bitter taste for the man who shares his face with them. With this new video, however, comes a new sourness and confusion for the viewer. Reality and the fiction have been murkily mixed together and it’s unclear what we’re watching. Adverts, comedy and Hollywood, have had to move fast or die out to the deafening roar of politics over the past two years. It has flooded conversations in a way not seen for over a decade. Consumerism has become a quasi-activism and good politics and better ethics are what sell. It’s no truer than in our theatres and cinemas, with James Graham’s host of political narratives conquering the West End and our TV screens. His most recent piece, Brexit: The Uncivil War aired on Channel 4 recently to much acclaim, London’s Southbank has been awash with Shakespearean iterations of Trump ever since the 2016 election and people now look to dramas, comedies, and fictions not only for escapism but for political insight. This cultural enfranchisement looks positive and much of it is, but it also suggests a similar trend towards this blurred world where our facts mix with our fictions. To this, I argue, we have to move cautiously. Programmes such as Black Mirror have flourished in this twilight zone where truth and art blur. As the name suggests, its presentation of alternative realities is so absorbing precisely because it unsettles our understanding of ourselves. It has proved more disconcerting in recent times, with many fans highlighting peculiar news stories that have seemingly been predicted in previous episodes. Even after discounting Charlie Brooker’s prophetic credentials, these readings still affect how we view such programmes. 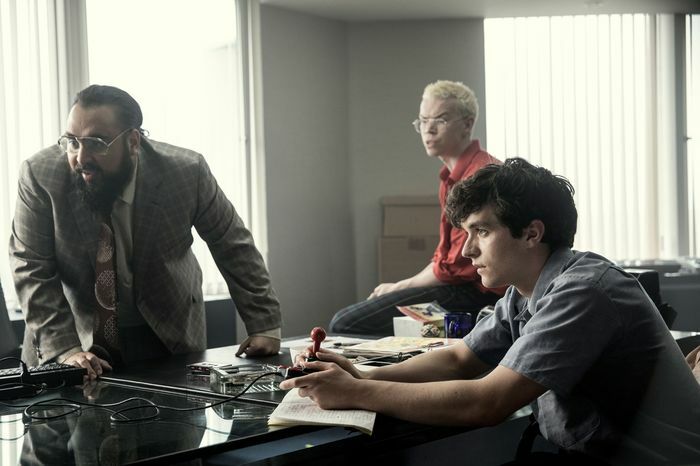 Bandersnatch, its latest iteration, commands the audience to choose aspects of the plot, not only breaking the fourth wall, but calling us into the director’s box. Those pieces that once gave projections of the worst parts of our culture we now feel we have power over. Similar to a computer game but requiring no skill, the film provides us primarily with a feeling of autonomy but at the same time draws us into a fantasy world that is acutely limited. Dangerous as this might be, there is merit to escapism for as long as it is remains just that. Issues arise when that fantasy is confused with reality and this is what I fear is becoming of much of art and drama. Drama’s brilliance lies in its ability to transport us somewhere away from ourselves so that we might understand better those things closest to us. James Graham explained that his Brexit piece attempted to “use drama as a public space in a courtroom to drag into it the questions and the answers [...] for an audience to explore”, but a drama demands the overblown and the dramatic in a way that a courtroom rarely does. Part of Shakespeare’s greatness lies in the way each onlooker witnesses something entirely different taking place on stage. To merge it with the truth of what politics should convey stagnates interpretation of the artwork and clouds dangerous artistic ambiguity around the political fact. Julius Caesar can be a Trump but the dictator is also much more than that. This is not to argue that drama shouldn't be political – often it is the ability of drama to present uncomfortable truths to power that makes it so forceful. But barefaced interpretation of drama as documentary we should be cautious of. Benedict Cumberbatch's Dominic Cummings is compelling and raises eyebrows but also confusion as to the accuracy of the docudrama. With issues of politics especially, ambiguity over the facts can lead to even greater division and those controversial discussions of Brexit could become even more polarised and contentious than they already are.